Standard did not justify their role of one of league favorite in this year. They have drop from Europe league in the gruop level and in home league team can not make their position for playoff. They have a lot of draw game, and with 10 of them are first in the competition. Team have lost recent two duel against Mechelen and Standard should not be such a big favorite in this match. 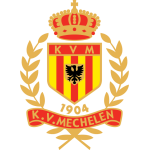 Mechelen is getting back at the winning track with two recent victoires and if manage to make well result here, they are almost sure in the playoff. 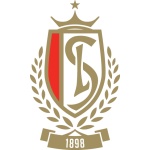 16:00 St. Gilloise - Waregem ?-?